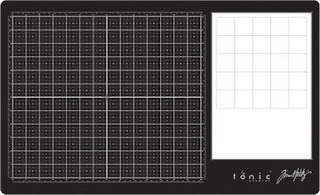 The Tonic Studios Tim Holtz glass media mat has been out of stock everywhere for ages. But it has started showing up recently. Scrapbook.com has it in stock and on sale! You can purchase it there for $35.99. You can check it out here: Scrapbook.com. You'll also find the Glass Media Mat Tool Set there. 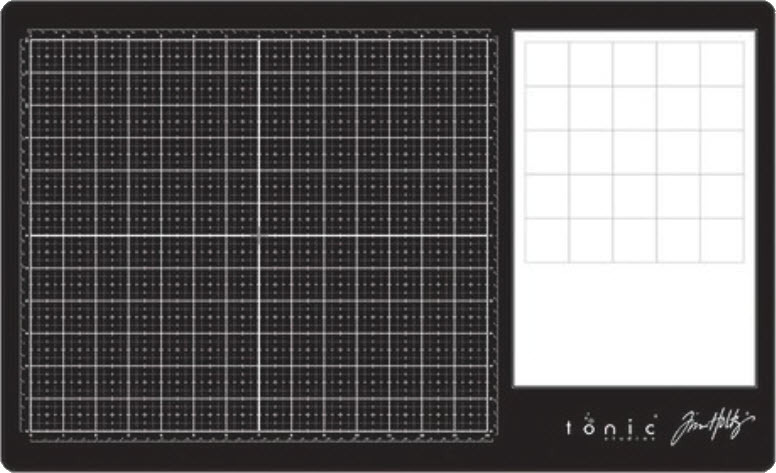 It contains one Media Edge (it's not a ruler, but is used as a guide) and one Media Scraper and is used with the Glass Media Mat. Check the description of the product for more info. It's on sale for $16.19.